It is ironic that while Toyota won't use photos of RPG toting Guerrillas piled high in the bed of an 80s Hilux, there is no better advertisement for Toyota durability & ruggedness then the worldwide use by impromptu militant groups. The guys out in the desert fighting for who knows what (for who knows why) aren't going to put out an RFQ to multiple contractors and do a scheduled pilot build study -- they are just going to use their cousin's car, you know, the one that never breaks down. The Hilux. 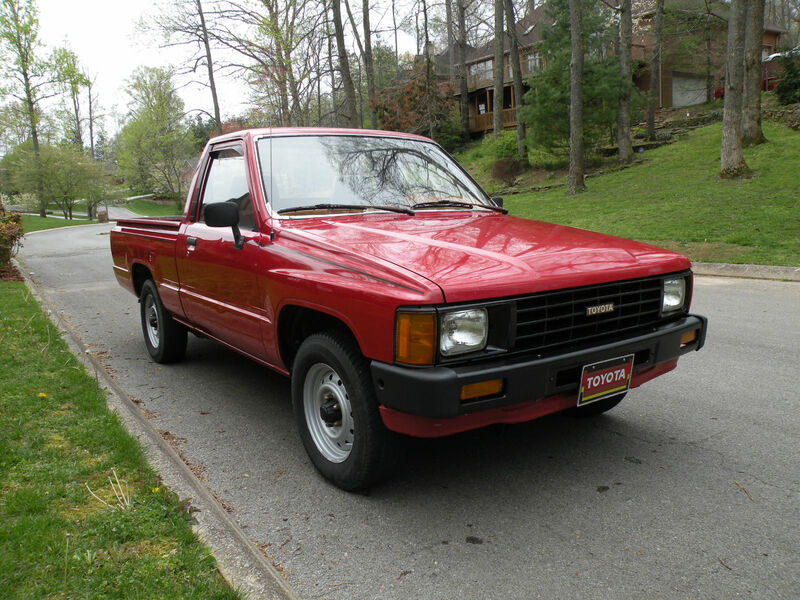 Find this 1986 Toyota Hilux here on eBay bidding for $1,675 reserve-not-met with 3 days to go, located in Cookeville, TN. Tip from DM. The Toyota Hilux is neither high nor luxurious -- but that's a moot point because in the US it was simply called the Toyota Pickup (since the mid '70s anyway). 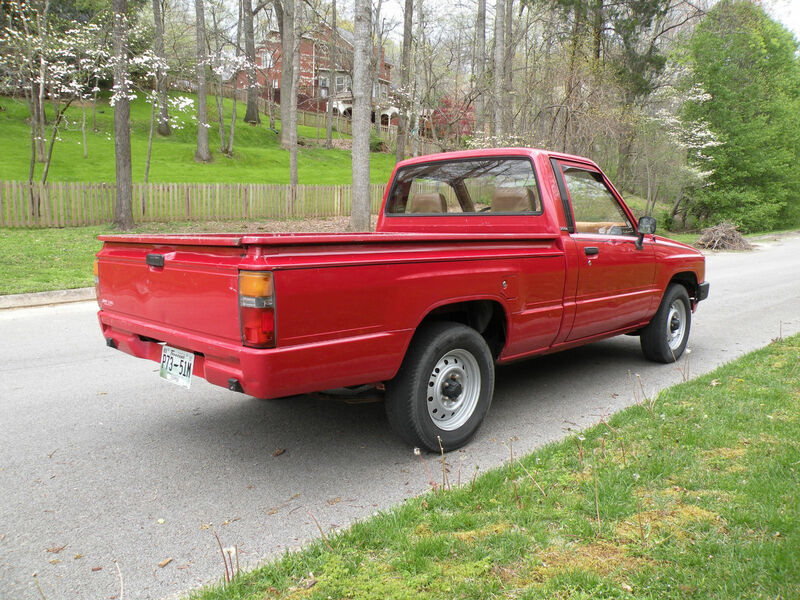 Not that it was badged the "Pickup", because it was so stripped down that it didn't even have a badge on the back. IIRC a rear bumper was an optional extra, same with passenger side mirror. 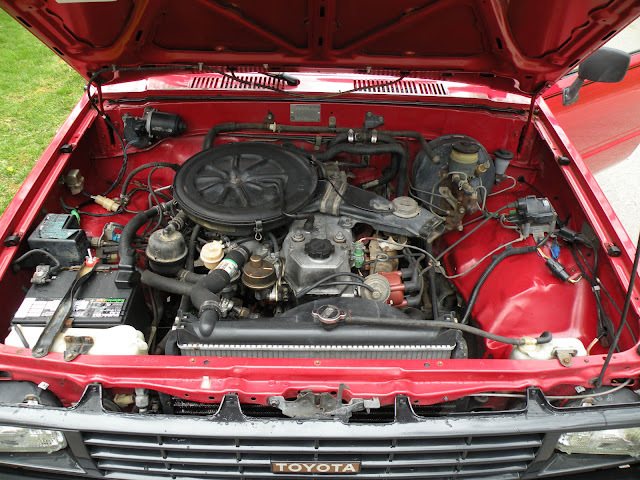 Under the hood is a 2.4 liter carbureted 22R inline-4 that was good for 106 horsepower when new. It won't be remotely fast compared to 99% of new vehicles today, but the 5-speed manual gearbox should be good for a few smiles. 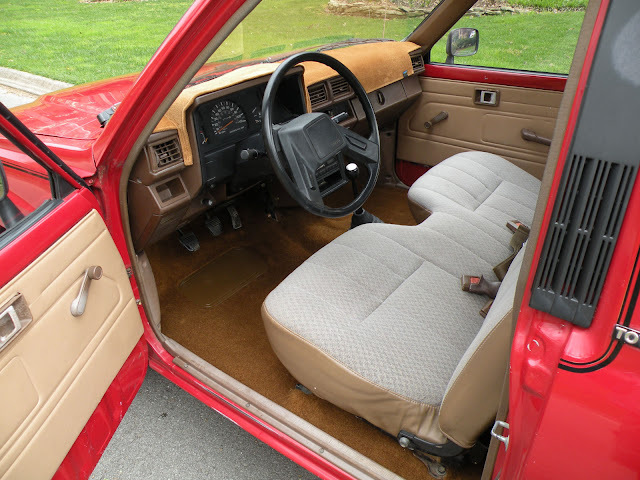 For a 30 year old car with 250k miles on the odometer this thing is in remarkable shape -- the interior looks good, the paint is still shiny and the engine has been rebuilt recently. What more can you ask for in a cheap compact truck? Pulled from my "Barking at the Moon" file; Please make this size truck again manufacturers. They were so useful without being wasteful. Remember that formula? And a pickup bed that normal humans can access without a ladder. It's not a Hilux they were never sold here. Hilux is a serious truck. This isn't. Sorry bud, the Toyota Hilux was sold in the US by that name until the mid '70s. The truck continued on being sold here through 1995 with the release of the Tacoma. The truck you see above is indeed a 4th generation Hilux, albeit sold simply as a Toyota "Truck." The M-2 and its mount will cost you more than the truck.